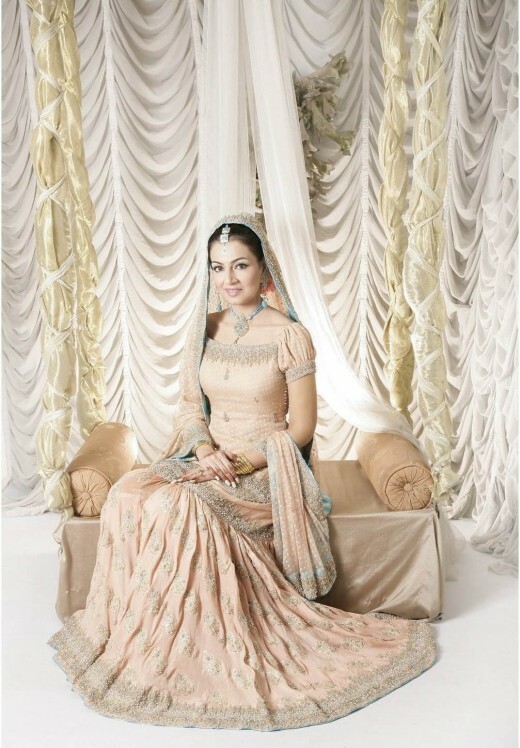 A gharara is a traditional Lucknowi garment, traditionally worn by North Indian muslim women in the Indian Subcontinent. 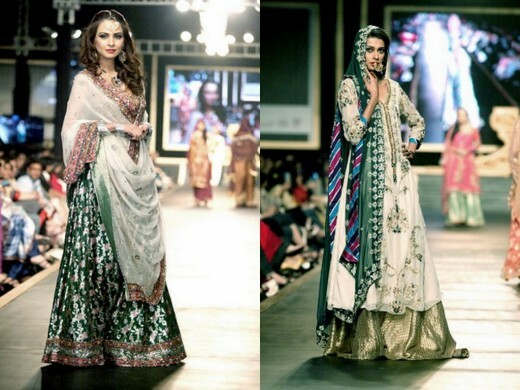 It consists of a kurti, a dupatta, and most importantly, a pair of wide-legged pants, ruched at the knee so they flare out dramatically. 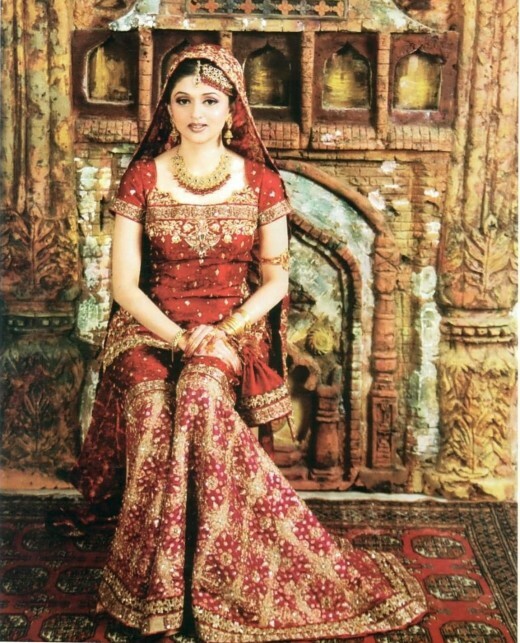 They are still very popular as wedding attire among Pakistan as well as Muslim brides in Northern India as they reflect a rich cultural tradition that brings a unique elegance to the bride. 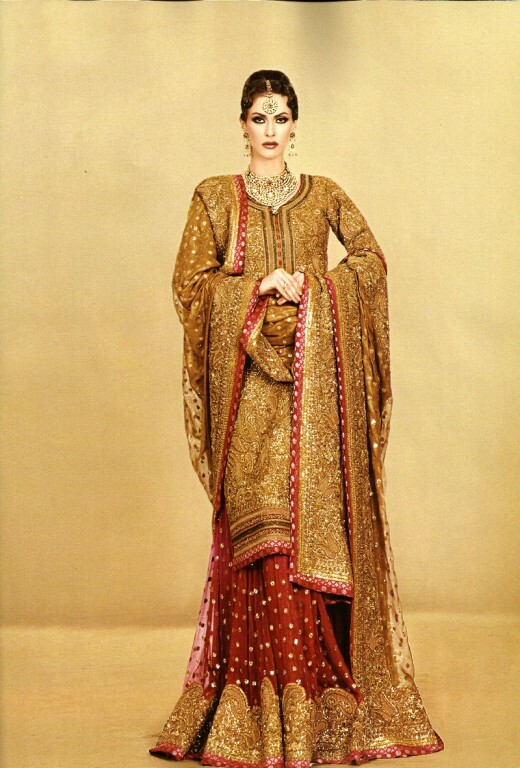 So, here in this post I have collected very beautiful bridal gharara or sharara dresses for 2012. Hope you will like them.